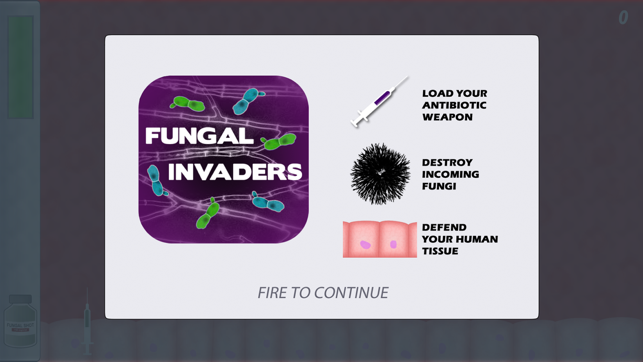 Are you ready to learn about fungal science through this amazing new game? Fungal Invaders was co-developed by scientists at the University of Aberdeen who are researching how fungi cause infections! Fungi are special microbes that can infect the human body. We use antibiotics to kill fungi and fight these nasty infections. Sometimes fungi can evolve resistance to antibiotics and these infections are very difficult to treat and need lots of different antibiotics. If you know how to play Space Invaders, then you already know how to play Fungal Invaders! 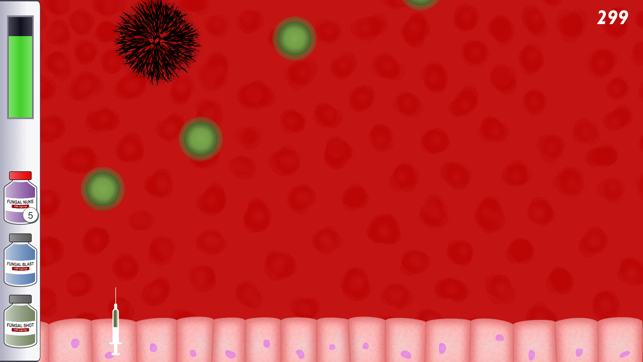 In this amazing game you will use a range of powerful antibiotic weapons to fight off different fungal invaders as they try to infect the human body! 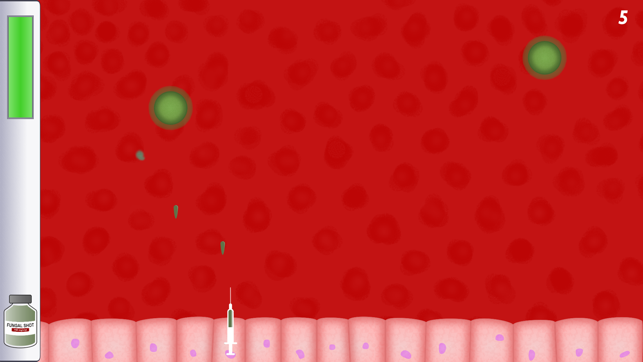 If that wasn’t hard enough, not all your antibiotic weapons can kill all of the invaders - – so think before you fire that syringe! 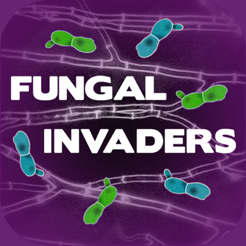 Fungal Invaders was developed by Game Dr and Monocool Interactive for research group of Professor Neil Gow, University of Aberdeen. Minor speed changes to how the waves are spawned. This will directly improve game play. © Copyright of University of Aberdeen 2016.